If you’re looking for a unique hunt away from all the crowds, this trip offers breathtaking landscape and exciting hunting and fishing. 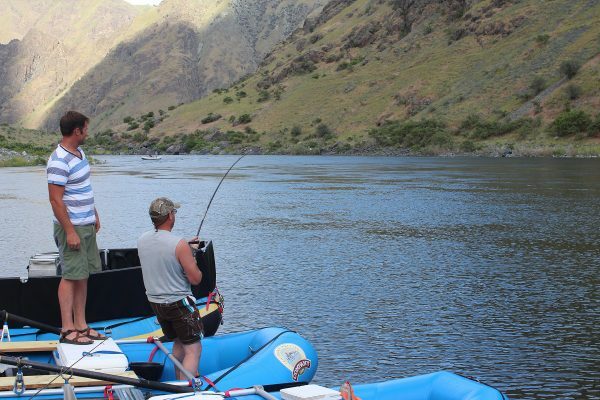 Our hunting and fishing trips take place in Hells Canyon. Our 3 & 4-day wild Chukar hunt includes everything expected out of our river trips, plus hunting. During most of the Chukar hunts, sturdy canvas wall tents with cots are provided; a welcome accommodation after a good day of hiking. 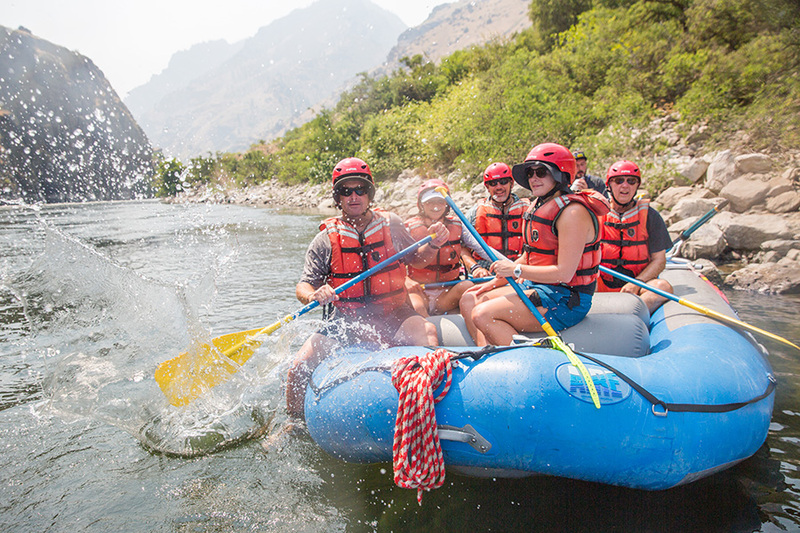 Hunting from a raft offers many advantages, especially in Hells Canyon. 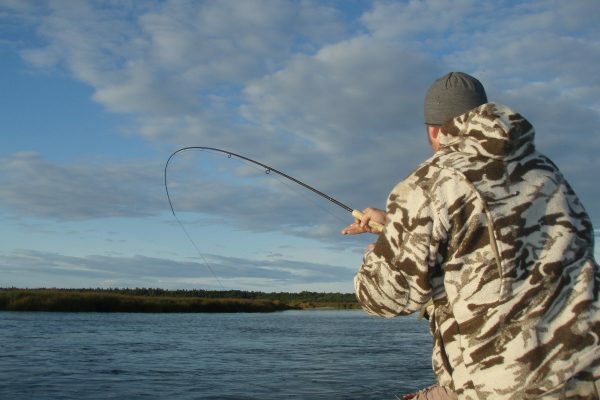 With hunting trails on both sides of the river, hunters and their dogs can be dropped off on the river bank and hunt freely until they meet the boat downriver. This takes all the work out of back tracking and wasting precious hunting time hiking around. Rafts are also incredibly quiet, which provides a huge advantage scouting where the birds are located and not alerting the birds of your arrival. If you enjoy exciting upland bird hunting, nothing beats Chukar hunting on the Wild and Scenic Snake River in Idaho. The fishing is also amazing this time of year. 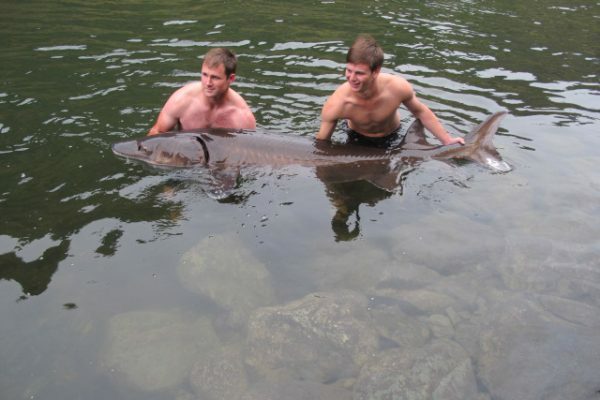 The Trout and Bass are big after a summer of feeding, Steelhead and Salmon are running and of course Hells Canyon’s world-famous sturgeon lurk in the bottom of the river. 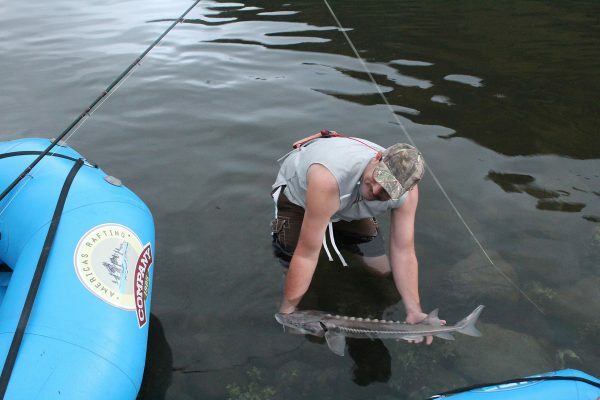 Our hunting and fishing trips run from middle of September through November and bringing your own dog is encouraged. A valid Oregon/Idaho state hunting license and Upland Game Bird Stamp is required. Trip prices do not include state hunting license, Upland Game Bird Stamp or guide gratuities. 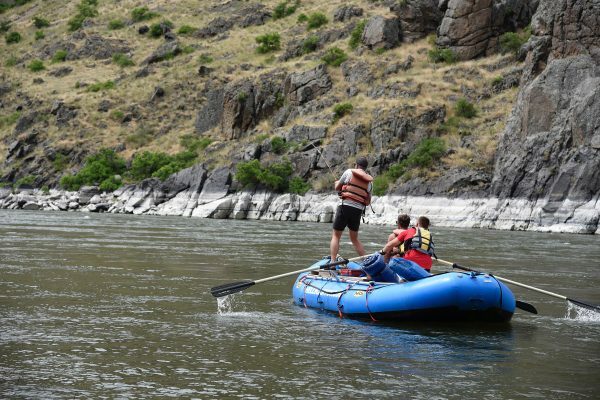 If you’ve always wanted to partake in Chukar hunting in Idaho or Oregon, book with America’s Rafting Company now!